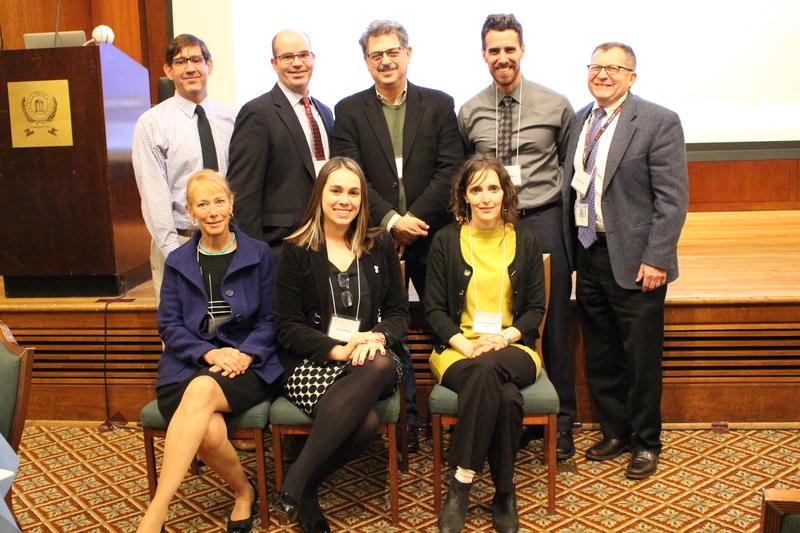 The University of North Carolina Lineberger Comprehensive Cancer Center Geriatric Research Symposium, held Dec. 2, featured seven presentations and panel discussions focused on muscle mass, aging and patient function. Claudio Battaglini, Grant Williams, William Evans, Marc Weinberg, Hyman Muss, Kirsten Nyrop, Carla Prado and Shlomit Shachar. Hyman Muss, MD, is director of the UNC Lineberger Geriatric Oncology Program and the Mary Jones Hudson Distinguished Professor in Geriatric Oncology in the UNC School of Medicine. In the sixth or seventh decade of life, there can be a tremendous variation in a cancer patient’s health and function, geriatric oncologist Grant Williams, MD, told a gathering of clinicians and scientists at the University of North Carolina Lineberger Comprehensive Cancer Center Geriatric Research Symposium. This question lies at the heart of the problem that researchers are seeking to address: Chronological age and height and weight are not always reliable predictors of a cancer patient’s overall health. Doctors need better measures of patient function as it is linked to how patients respond to treatment or recover from side effects. 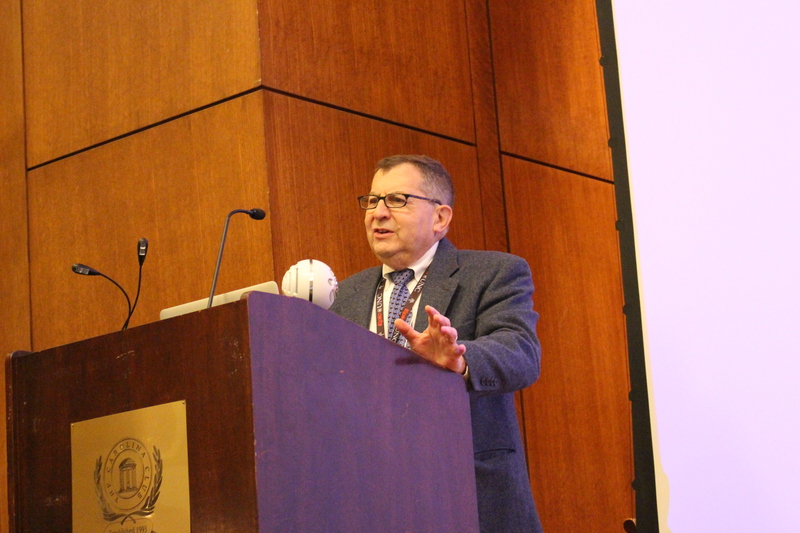 At the symposium, researchers shared the latest research into measuring physical features such as muscle mass and frailty to better predict patients’ fitness for treatment, as well as into efforts to improve patients’ physical condition to improve their treatment outcomes. Understanding a patient’s body composition is important to cancer treatment, yet existing measures to gauge patient’s body composition are imperfect. For example, researchers explained that two patients with the same body mass index, which is a measure based on height and weight, can have different proportions of fat and muscle. Chemotherapy treatments are dosed based on body surface area, but that doesn’t take into account what lies beneath. To improve the measurement of body composition, Marc Weinberg, PhD, a student at the UNC School of Medicine, described research into using CT scans to measure skeletal muscle. He said researchers don’t need a full body CT scan; they can use an image of a slice through one vertebrae to determine the patient’s fat and muscle content. “Just a slice – a single slice – can be used to make a correlation to the entire body composition, and especially to muscle mass,” Weinberg said. Weinberg said a CT scan slice can give information about skeletal mass size and density, measures of quality and quantity of muscle in the body. For patients with cancer, a lower skeletal muscle index means shortened survival, poorer quality of life, and greater treatment toxicity, he said. He described efforts to combine the two into one measure, called “skeletal muscle gauge,” or SMG, which they found has a stronger correlation with age than either of the other two measures alone. But what if you could measure skeletal muscle without requiring patients to undergo radiologic imaging? William Evans, PhD, an adjunct professor in the Duke University Division of Geriatrics, described research into a method to measure muscle mass using a urine test. He said it’s a promising method of noninvasively measuring nutrition and health in children in developing countries and other settings. There is need for convenient ways of measuring patients’ body composition in clinical oncology. Shlomit Shachar, MD, a former UNC Lineberger clinical fellow, said the current method of using body surface area to determine drug dose doesn’t always help physicians predict which patients will experience intense side effects from treatment. As a medical oncologist in Israel, Shachar said she cared for a young, healthy breast cancer patient who found a lump while breast feeding. Shachar started her on chemotherapy and didn’t expect to see her for another two months. But the patient was back in the hospital unexpectedly due to side effects. Shachar has been studying whether different measures of muscle mass can better predict chemotherapy toxicity in breast cancer patients. She reported that skeletal muscle gauge, the combined measure of muscle mass and density (muscle “quality”) developed at UNC, was the measure with greatest association to toxicity in one study she conducted. Williams underscored the need for objective measures of patient function in geriatric oncology. He is studying frailty, which he described as the “inability to overcome stressful events” characterized by weight loss, weakness, exhaustion, and slowness. The goal is to better identify frail, at-risk older adults with cancer in order to better treat them. The symposium also featured speakers who are interested in improving patients’ fitness to improve their cancer treatment outcomes. Carla Prado, PhD, assistant professor at the University of Alberta, spoke about research into reversing abnormal body composition using dietary interventions. “(We’re) trying to come up with a diet and energy (regimen) specific to different body composition phenotypes to increase lean mass, and lower fat mass, to improve survival and increase quality of life and physical function,” Prado said. Battaglini is actively researching strength training and other forms of exercise to improve muscle mass and to stave off fatigue and other negative side effects of cancer treatment and disease.